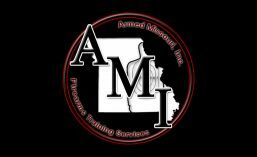 Basic Defensive Shooting Skills | Armed Missouri, Inc. Course Length: Minimum 6 hours (not including lunch or breaks)Class begins at 8:00 am, please arrive by 7:45 am to fill out necessary paperwork. Class will run until approximately 3:00 pm although depending on class size and ability of students class could run until 4:00 pm or later. Find course dates, prices details and online registration on our Course Calendar. Course Description: The N.A.P.S.I. Basic Defensive Shooting Skills (BDSS) Course combines the dry and live-fire range work from FDP, with a review of Firearms Safety and Safe Gun Handling Practices, as well as discussion regarding the body’s natural reactions to lethal force stress. BDSS will consume approximately 6 hours of time consisting mostly of dry and live-fire exercises on a shooting range. While a number of skills transfer from the recreational/target shooting sports to the defensive shooting world, there are numerous substantial differences between the two disciplines – differences that a typical basic handgun safety class will not address or recognize. As such, BDSS was developed to provide the student who has already taken some variety of formal handgun training, such as a basic handgun safety course or a Concealed Handgun Permit course, with a proper introduction to defensive shooting skills. Students will be required to show proof of prior training either by way of a Course Completion Certificate from a State-Approved or nationally recognized handgun safety course, or by displaying a valid Concealed Handgun Permit issued by a state with a training requirement.